Will apple cider vinegar help you lose weight? 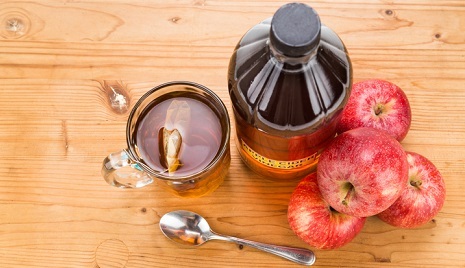 Home / Living Better / Will apple cider vinegar help you lose weight? Apple cider vinegar has been touted to help with weight loss, appetite control, gut health and more. But does science back up these popular claims? Lena Beal, MS, RDN, LD, a Piedmont therapeutic dietitian, looks at the research. Beal references a commonly cited a Japanese study that found participants who consumed apple cider vinegar lost more weight over a 12-week period than those who had no apple cider vinegar. “This study isn’t good to generalize for all people because it’s such a small subset of people in a specific region where they don’t eat the way we do here in our Western culture,” she explains. In another study, participants were given apple cider vinegar and told to cut 250 calories each day. Researchers also found that apple cider vinegar increased satiety, or feelings of fullness. While this is true, Beal points out that the study participants felt full because they were nauseous, as reported by the study’s authors. Acid reflux: The high acidity in vinegar can cause or worsen acid reflux in some people. Complications with chronic kidney disease: “People with chronic kidney disease may not be able to process the excess acid in large doses of apple cider vinegar,” says Beal. Low potassium levels: “It’s very important for people who take diuretics – found in medications for high blood pressure, for example – to be wary of how much apple cider vinegar they consume,” she says. If you want to incorporate apple cider vinegar into your diet, Beal recommends consuming no more than one to two tablespoons per day. “Try it for six weeks, then take a break for two to four weeks to see how your body responds,” she says.